The American Kennel Club has released their list of most popular dogs in the United States. 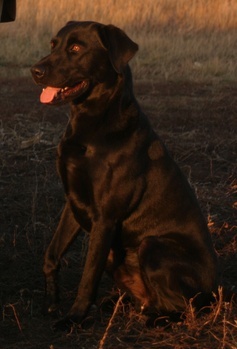 And, once again, the Labrador retriever is the most popular dog, based upon AKC registration statistics, in the country. The 22-year streak atop the registration list ties the poodle for most consecutive number-one rankings. The German shepherd dog, golden retriever, beagle and bulldog round out the top-five most popular dogs. This year’s trend leans toward bigger dogs moving up the list after a several-year run of smaller dogs having seen a rise in popularity on the 175-dog list. Not only is an overall list available, the AKC breaks out the most popular dogs in major cities. While it’s fun to see where our dogs rank on the list, and to look at various cities and see which dogs are preferred by residents, there are a few things to keep in mind. First, the more popular a dog, the more people there will be that offer them for sale. It’s supply-and-demand thing, and if there’s money to be made, someone will fill that demand. Second, with many people offering dogs and puppies for sale, unscrupulous and reckless breeding can lead to puppies affected with genetic disorders; popular dogs have a tendency to suffer from more disorders and have a higher number of them. The Labrador retriever, for example, has at least 16 genetic disorders. The German shepherd suffers from more than 10 mutations. The golden retriever, 8. Beagles can be afflicted with a dozen different genetic mutations. And while bulldogs only have a couple of genetic mutations that affect their health, you have to keep in mind that because they’ve been bred for extreme physical characteristics, that their conformation itself can be detrimental. When you’re looking for a new dog, regardless of whether it’s a puppy or rescue, keep in mind that nearly all breeds carry the potential for at least a couple of genetic mutations in their background. Responsible breeders will test for these genetic issues prior to breeding their dogs, and if you’re looking for a rescue, you can test the animal prior to adopting.